Count on SEMCOR to offer a tremendous selection of fluid handling products to meet the needs of companies throughout the Midwest. Our in-depth inventory of process instrumentation devices for fluid handling applications includes a wide assortment of limit switch products. You also get the benefit of extensive product expertise to help you make a wise purchasing decision for your company, along with a complete range of fabrication services. Limit switches are electromechanical devices that are used as part of a valve control system and play an important role in valve automation. The limit switch is attached to the valve actuator and serves the purpose of indicating when the valve has reached a specified point of actuation. 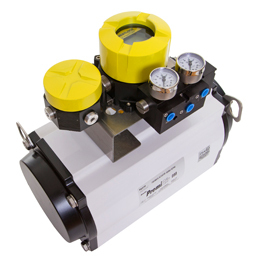 They can be used as control instruments during standard valve operations and/or as emergency devices that can prevent a potentially damaging valve malfunction. SEMCOR is a proud supplier of superior limit switch products from Westlock Controls, a global innovator of monitoring and controlling devices for process valves. Our strong relationship with the Westlock staff enables us to provide timely, reliable technical support for our entire selection of stock and fabricated limit switch products. 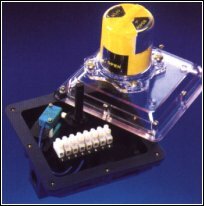 Please take a few moments to explore our complete selection of limit switches. You can also contact us with your specific products inquiries or receive additional product literature. Our sales and service staff is available to consult with you regarding any fabrication requirements. Have additional questions regarding limit switches? Read our blog that covers the basics of Limit Switch applications, uses and functions.